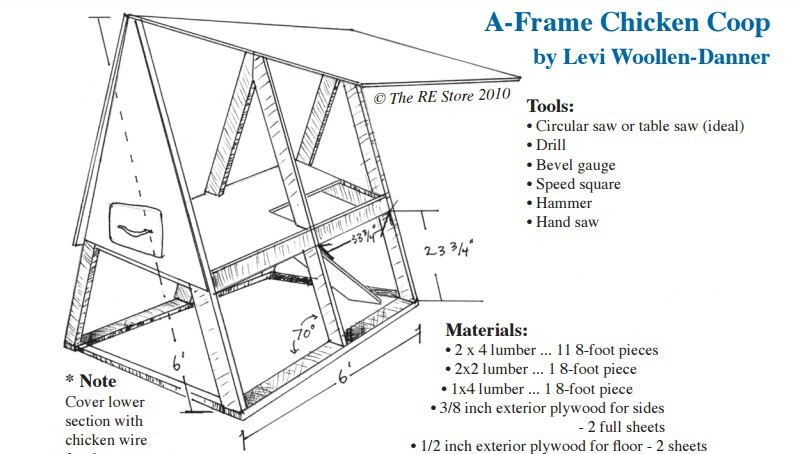 Recycle used building materials into a functional and pretty coop with these A-frame DIY chicken coop plans. The cost will be almost nothing if you have enough materials already on hand to follow these detailed, step-by-step building instructions. Click here for the designs.